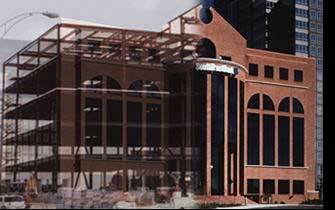 Structural Solutions, PA is a professional engineering corporation specializing in the design of new buildings. We provide complete structural engineering services for a variety of building types, including commercial office, medical office, retail, showroom / exhibition, educational, institutional, warehouse and light industrial projects. We are licensed to provide professional engineering services in North Carolina, South Carolina, Virginia, Georgia, Florida, Tennessee, New Jersey, Kansas, Missouri, New Mexico and Texas. Licensure to provide professional engineering services in other States can be readily obtained through reciprocity and membership with the National Council of Examiners for Engineering and Surveying (NCEES). Please browse our Portfolio to see a small sampling of the projects we've designed.